Ever since my breast cancer diagnosis, October has become a doozy of a month. I don't know if it's this way for everyone who goes through breast cancer, but I suspect it's tough for most of us who've been told our cancer has spread, that it's no longer considered curable. It is hard to see the sea of pink -- in the seat-back pockets on my flight home from Missouri on Sunday, there was a flyer telling me I could buy a $2 pink lemonade to support breast cancer awareness. I wanted to scream about how aware I actually am. But Quinn was sleeping on my lap and an elderly woman was sitting beside me, on her way to help her daughter who'd just had hip surgery, so I kept my mouth shut. I raged on the inside. It was even tough to watch Sunday football with my dad, and not just because the Seahawks keep freezing in the 4th quarter and losing games they should be winning. Pink goal posts and cleats and towels aren't contributing much to the cause they claim to support, and -- at best -- we inch toward better treatments, a few more months of survival (when the average after a mets diagnosis is 3 years), and if we're lucky, milder side effects. All the while, the general population continues to believe that breast cancer is curable, we need to save the tatas, and early detection saves everyone. I am exhausted, and it's okay if I blame October for that, right? To me, this is the great injustice of this sea of pink, these calls to support awareness everywhere you look, most of it not doing much more than marketing products wrapped in pink. I used to think that both awareness and research were important. Now I wonder: Who is not aware? But also, what do most people really know? Breast Cancer Education Month doesn't really have the same ring to it. A man I met a few years ago was saddened to tell me that his mom had beat breast cancer but couldn't beat brain cancer. My bet is that she never had brain cancer, but rather breast cancer that metastasized to her brain. She didn't die of brain cancer, she died of breast cancer. But I did not want to argue with a grieving son, so I simply told him I was sorry. I try to be careful about the language I use. 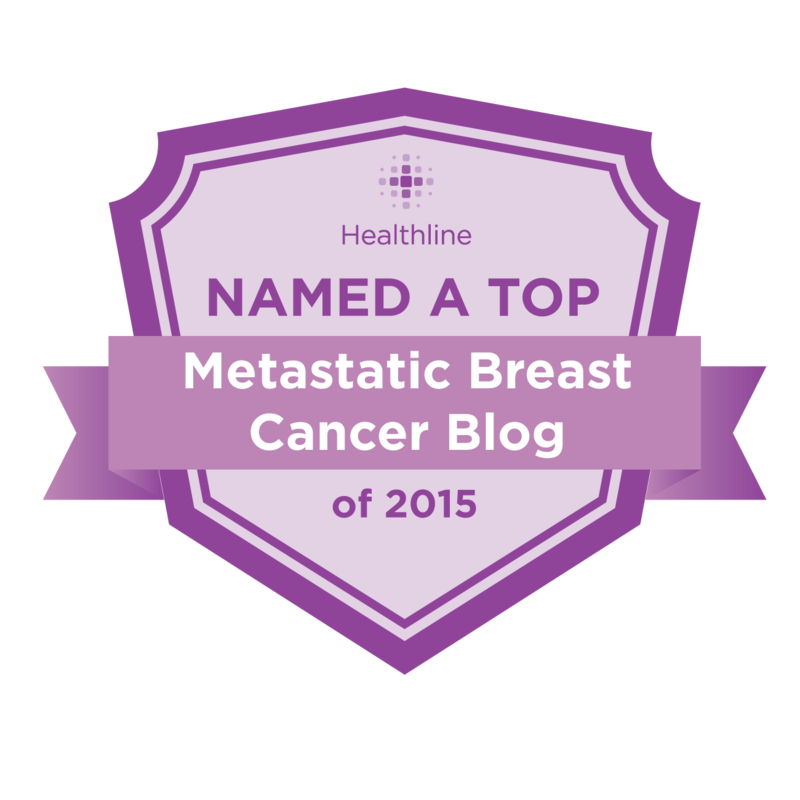 I no longer say I have metastatic breast cancer but rather that I was diagnosed with metastatic breast cancer more than four years ago. Do you see the difference? I don't know whether it changes anything and perhaps it's just superstition. I couldn't even bring myself to participate in a die-in (as proud as I am of the waves these women are making) because I don't want to say I'm dying of breast cancer -- even if 98% of people with this diagnosis do die of it. I have to hope I'll be part of the two percent. Why does language matter so much? 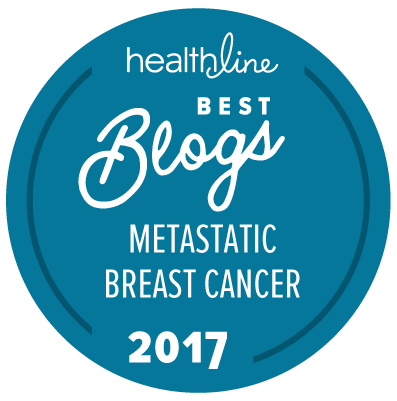 Why do we who've been diagnosed with metastatic breast cancer care whether you know what the word metastatic means? Why are we over awareness? We're really tired of our friends dying, for one. We're scared we will be next, even when we hope we'll live to see the next milestone: our child graduating, or getting married, or learning to tie his shoelaces. I have nightmares about cancer, in the form of unwanted guests, or sharks trying to come onto shore to attack me, or burglars trying to break into my house, and I wake up sobbing and unable to relax enough to fall back asleep without the help of sleep aids. We want people to understand how scared AND how hopeful we are, more than they will ever learn by purchasing a can of pink lemonade. We hope that one day these campaigns will go beyond awareness and actually do some educating so women (and men) will know their risk, understand what as many as 250,000 of us are living with every day, and maybe start turning some of the pink consumerism into research dollars that will help us have fewer nightmares and celebrate more milestones. Instead of buying pink stuff this year, please consider donating to a reputable organization that provides money for research. Here are a few I like, in no particular order. Hi Jenn. People are attracted to things that they believe will keep them safe: safe transportation, safe houses, safe neighborhoods, safety through laws, and safety from breast cancer’s ugly side by early detection and prevention. Races and pink goodies aim to give people that needed sense of security. The truth is, though people may feel safe, no one is ever completely 100% safe in any aspect of their lives no matter what they do. I think much of the conversation about mets only occurs between our doctors and others like us because of how unsafe metastatic bc is. It will take a marketing genius to find the right words to cause people to stop being afraid of their own mortality and bring the scarier aspects of breast cancer quickly to the non-metastatic community. For now, all we can do is to keep talking about it--like you do--in hopes that people will begin to listen even though it feels like they are saying . . . la, la, la, I can’t hear you. I agree with Lisa, society doesn't like facing truth or pain. We hold on to denial as long as we can. Some call it hope -- and this is OK too. I try to educate people about my disease but often I am considered to be "negative" about my situation, because they figure since I caught mine early I shouldn't worry. Personally, I would rather know the full story. This is my comfort zone. I agree we desperately need more money for research. I think everyone should be concerned when this disease is affecting one in eight women (and some men) and those already diagnosed will eventually face stage 4. I don't understand why organizations don't get this. How many deaths is it going to take to make a drastic change? October of last year was my official mets diagnosis and this year it was my brain mets spread, pink or no pink, I think I need to avoid anything scan like on October. Research is key, I do hope to see better treatments and a cure!